Radio: COMAND Navigation -inc:high resolution 12.3" display, fast HDD navigation w/3D maps, map updates & live traffic included for 3 years, WiFi hotspot w/4G-LTE internet connection, smartphone integration w/Apple CarPlay and Android Auto, Bluetooth hands-free and audio streaming, voice-operated control system and car-to-x communication NFC wireless charging is part of Premium P01 package. 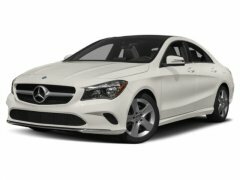 Find a great sale price on this 2019 Mercedes-Benz E-Class E 300 at Mercedes-Benz of Seattle in WA. This 2019 Mercedes-Benz E-Class E 300 is located at our Mercedes-Benz dealership in Seattle. We also serve the cities of Tacoma, Puyallup, and Bellevue. So if you're looking for a great price on this 2019 Mercedes-Benz E-Class E 300 or just looking to get an auto loan for the vehicle you want... you've come to the right place! DMercedes-Benz of Seattle.